Daryl Johnson (Worcester Park, United Kingdom) on 18 May 2009 in Architecture and Portfolio. 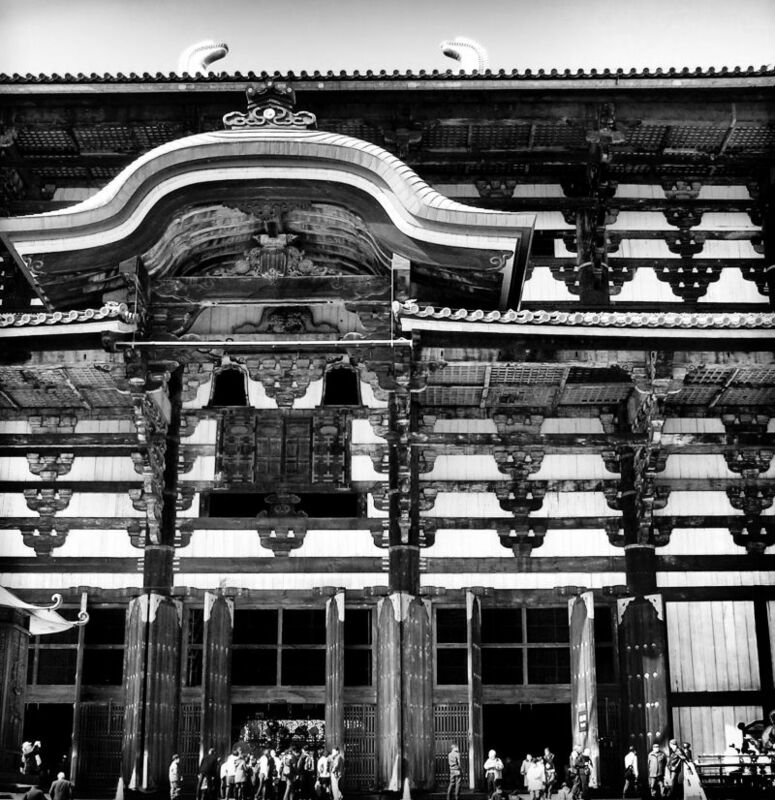 Another, closer, view of this massive structure in Nara, Japan. What a superb capture Daryl. The architecture is amazing! That is really a great perspective to the structure. The pattern looks excellent in black and white. I am thinking of the maintenance on this . . it must be a life's work ! splendid lines and reflections here -- awesome!! @Twelvebit: It certainly is Twelvebit.